Only 10 of the 123 Football Bowl Subdivision teams in the country have allowed more sacks per game than BYU midway through the 2013 season. 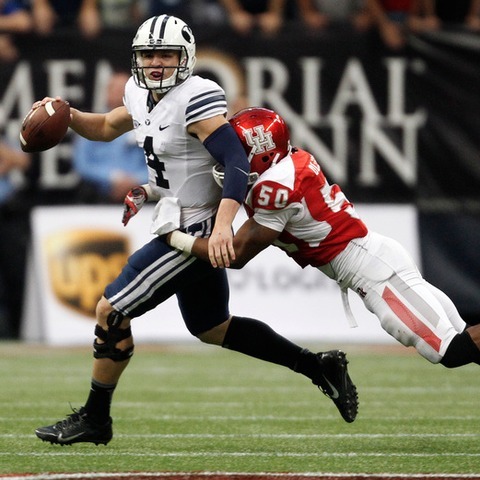 Despite having a young and inexperienced offensive line that has been plagued by injuries, the Cougars were about average in that category until giving up eight sacks in Saturday’s 47-46 win over Houston. They now are giving up 3.14 sacks per game, which is tied for 110th, and 6.29 tackles for loss per game.